Send Me to New York! 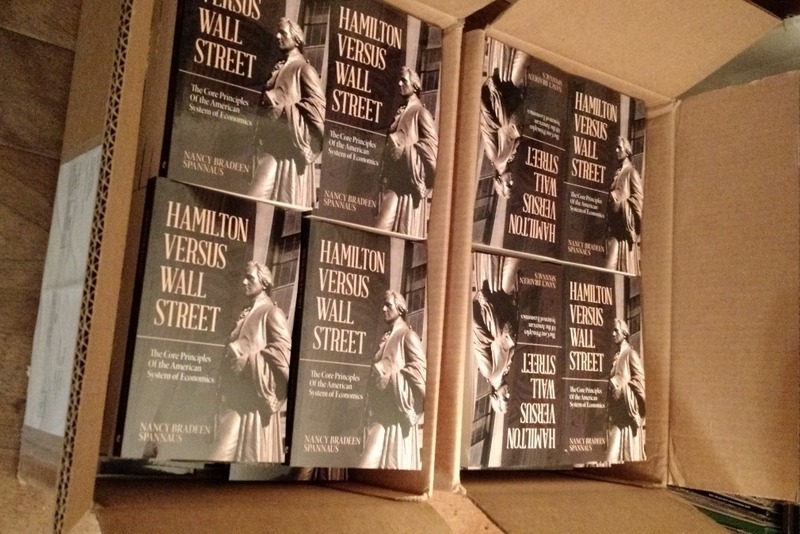 An incredible opportunity to spread the circulation of Hamilton Versus Wall Street has come up, and I need your help to seize it. From May 29-31, the largest annual book trade fair in the United States, Book Expo America, is occurring in New York City. I have an offer from one of its exhibitors, Authors Press, to promote my book at this event. They will set up a book display, organize a book signing, produce an 6-7 minute video, deploy 3 to 5 sales people at the event to sell the book, and circulate a press release through social media. They will also market the book in their physical bookstore for a month after the event. The cost? $3500. That’s the same amount it would cost me if I contracted for a 5’ x 10’ booth directly with Book Expo, with none of the perks. The bottom line is that this is a unique opportunity to get high visibility for the book and its ideas, and hopefully get it into bookstores and libraries around the country. It can kick-start the process of a real education on what the American System is all about. Just imagine if we could get a vigorous public political discussion going about funding a $4 trillion National Infrastructure Bank using Hamiltonian methods! I put the proposal in the book so that this could happen. The problem is, I don’t have the money. Ed and I have already laid out over $2000 to get the book published, and we can’t afford to put out thousands more. So I’m asking for your help. 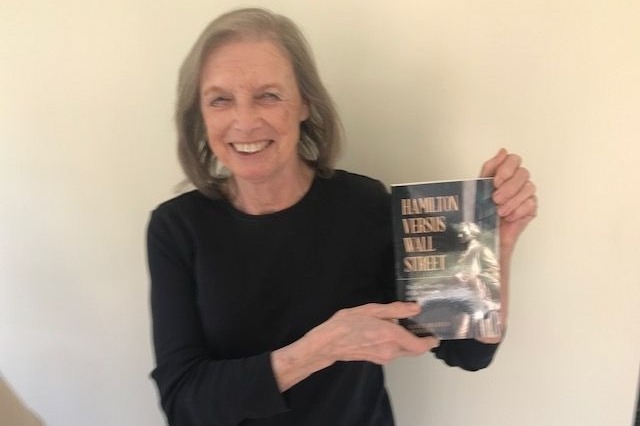 As many of you know, I wrote Hamilton Versus Wall Street now because I felt there was not only a great opportunity, given the success of the musical, but because Hamilton and the American System are so crucial to getting this country out of the mess it’s in now. The reception among some Hamilton promoters, and some industry reviewers has been extremely positive. But it takes a lot of advertising to get a book to take off. I need to get a flow of funds immediately, in order to pin down the plans. Please help me educate America on Hamilton. Send me to New York! Hi, folks. Now only $719 to go. Rest of the payment needs to be paid on Thursday coming up. Much thanks, but still hoping to get over the top. Below is a better picture from the event last Sunday. Thanks to your generous support, my campaign to Educate-the-Nation-on-Hamilton is entering the home stretch. As of this morning, my GoFundMe effort has brought in $2681 ($200 was sent to me directly). That means there is only $819 to go. My warmest thanks to all of you who have given. The job now is to get the $819 by my next deadline, which is April 18, the day I'm scheduled to make the second and final payment. With the efforts of all of us, I'm confident that this can be done. I will update you as we move ahead and go over the top. The news today is good: I’m taking Hamilton Versus Wall Street to the New York Book Expo at the end of May! Thanks to the generosity of almost two dozen of you readers, my GoFundMe campaign has raised half of the $3500 required to pay for the unique promotional opportunity. I will make the necessary down-payment today. There is some uptick in activity around promoting the book on other fronts. The first review has been published, on the Africa and the World blog run by Africa expert Lawrence Freeman. 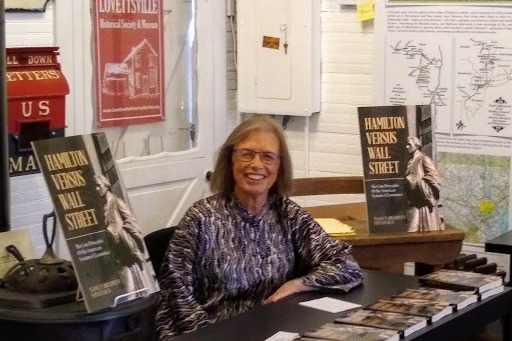 My first book-signing event has been scheduled for April 7 here in my home town. 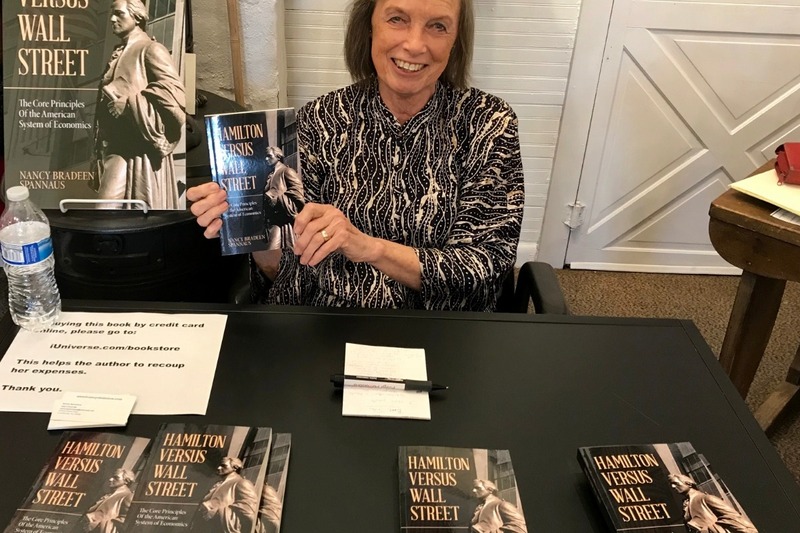 It’s sponsored by the Lovettsville Historical Society and Museum, which has the ability to generate extensive publicity in the northern Virginia/West Virginia/western Maryland area. Due to local interest alone, I have already had to put in a second order of books to have on hand to sell.